One day there was a secret spy.His job was to receive stolen gems.The secret spy found it difficult.He reached out to his professor and asked him “when are we going to get the purple jewels”the spy said viciously worrying.The professor licked his lips and wondered in his mind a plan to trick the spy.And he said “I think your going to have to wait on that retrieve heist”.Said the professor mumbling suspiciously.Next he twisted around and ran. The professor grabbed his rocket flying invention and stole an laser gun and flew rapidly fast to The bank of Ireland.After that he shot his laser gun onto the vault door. And saw one person standing in the vault to be continued??? Oooooooh I wonder who was standing in the vault, Carrington??? Such a mystery to end the story with! 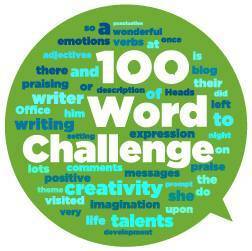 You used some really great words and descriptions here too, which made your story enjoyable to read. Keep up the good work.